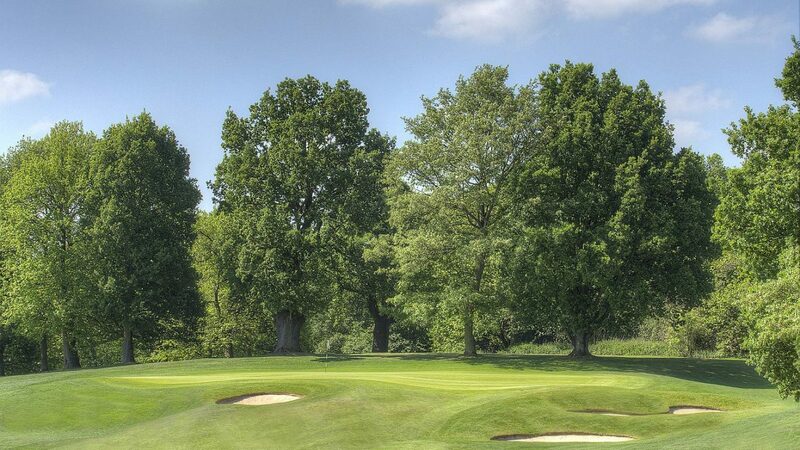 Rochester & Cobham Park Golf Club, one of the oldest golf clubs in England began life in 1891, known simply as Rochester Golf Club with a 9-hole course. The club moved to the present site in 1920, and in 1992 the Government unveiled the route of the Channel Tunnel rail link resulting in major reconstruction of the course, and opening of the present clubhouse in 1997. The design for the new course was entrusted to Donald Steel, who masterminded the modern St. Andrews complex. All 18 greens are constructed to USGA guidelines and offer a wealth of subtle borrows. The course is now one of the finest inland courses in the country. Since the new course was completed the club has hosted the Kent Amateur Championship, the Brabazon Trophy final qualifier and two International matches, as well as hosting regional qualifying for The Open Championship. In addition to the challenging parkland course, the Club boasts excellent practice facilities, all year round golf, due to the chalk subsoil, a friendly clubhouse serving real ales & home cooked food. The Club welcomes applications for membership from all categories of male and female golfers, from juniors to intermediates to full membership. A range of society packages are available on Tuesday afternoons and all day Thursdays. All society days are tailored to your exact requirements. Society Winter Specials are offered from November – March. R&CPGC is conveniently situated 2 minutes from the A2, taking the Shorne/Cobham slip, 10 minutes from M25 & Dartford Crossing and just a short drive from Ebbsfleet International. Green Fees are welcome seven days a week, including Bank Holidays. To check availability of the course and book a tee time and/or buggies, contact the Pro Shop on 01474 823658. Local hotels are easily accessible. Please contact the Club for a list of recommendations. Driving Range, Short game practice area, chipping green & putting green. Buggies & electric & push trollies available for hire.